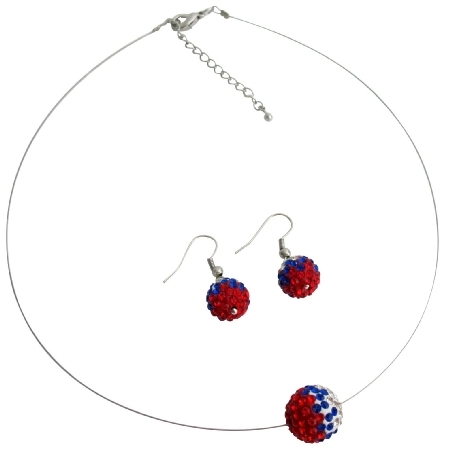 Designed this adorable Patriotic Theme Pendant & Earrings set to celebrate USA Independence Day July 4th. A perfect necklace earrings set for all of the USA celebration this Summer. Stunning Pendant & Earrings Pave Ball with red blue white crystals embedded that give Ethnic look. Perfect for Independence Day Memorial Day Labor Day or any occasion where you want to show your support for the USA. Material : Necklace & Earrings 12mm Crystals Pavel Ball.